i finished my first hat for the word-along last night. 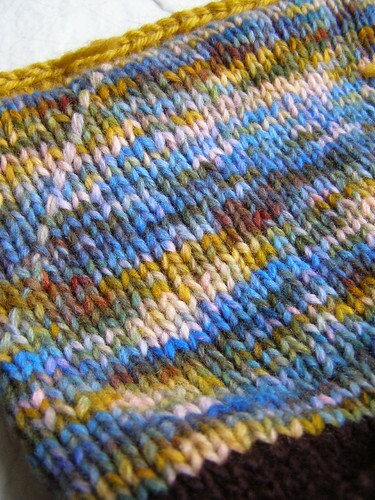 if you’re interested in joining in the fun, check out the thread in the knit one, embellish too group on ravelry. quick, change your word now to have less circular letters. tee hee. knit most of this one while camping while around the fire and it smells like it. i’m finding it very inspirational to have new hand dyeds in the stash. 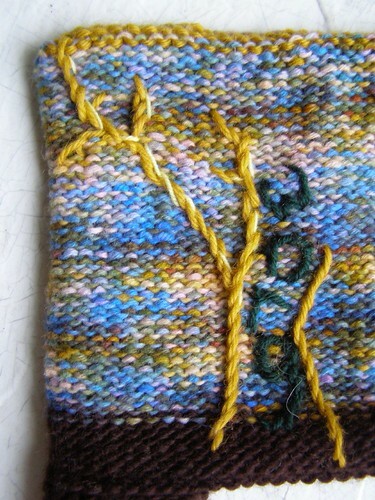 while i was sewing in the ends last night, the vision of the inside of the hat kept growing on me. this happens a lot when i turn things inside out, BUT it usually does not result in my un-sewing in the ends and turning the hat the other way out. usually i ask ben if he likes the inside or the outside better and we often go with the outside, even on hats where while i’m knitting i think the inside will win out. i haven’t decided yet what my next word will be… but i’m almost done with the hat to put it on, so i better get deciding. 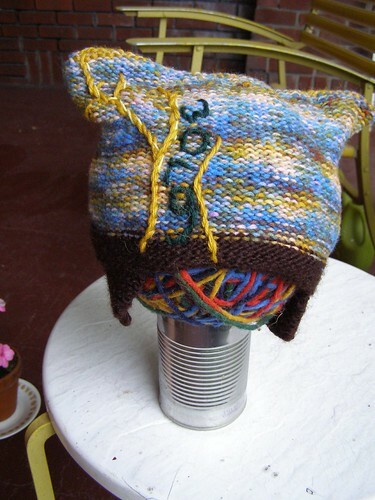 This entry was posted in cosyknitsliterally, hats, knitting by cosymakes. Bookmark the permalink. I like this hat a lot! 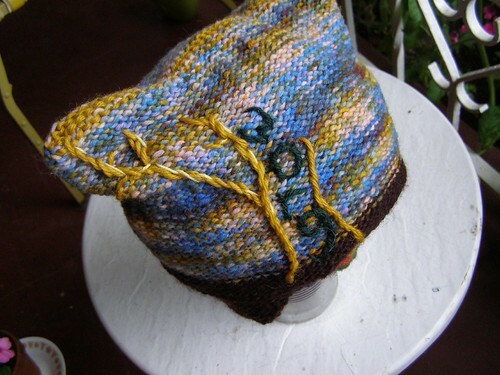 Adorable hat – love the colors! Don’t think I’ve forgotten about you, please, it’s been a rough couple of weeks but I’ll get your batts done, pinkie swear!